The 2013 PETRONAS AAM Malaysian Cub Prix Championship season finale at Shah Alam last weekend marked a momentous occassion for Yamaha supported teams as their riders made a clean sweep of the open make titles. At the summit of it all, Ahmad Fuad Baharudin (153 points) of Faito Yamaha Motobert beat Norizman Ismail (131 points) by 22 points to win his third CP130 title and claim Yamaha’s 13th victory in the premiere class. Previously the 34-year old won the championship in 2002 and 2009. In the junior categories, Ahmad Afif Amran defeated defending champion, Mohd Amirul Ariff Musa to secure the CP115 crown while Hafiza Rofa won the WIRA honours. Adding on to Yamaha’s joy, factory team, PETRONAS Yamaha-CKJ cast their competitors into the shade when they took the CP115 Best Team Award in their debut season through Ahmad Afif and Mohd Shariffudin Shamsuddin. The only title Yamaha failed to reclaim was the the CP130 Best Team Award where Harian Metro Y-TEQ SCK Honda Racing won for a third consecutive term – a clear reminder Honda did not go down without a fight and they will continue to be a threat in the upcoming seasons. 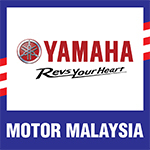 “2013 was a good year for Yamaha and everyone is really happy,” said Hong Leong Yamaha Motorsports Manager, Melvin Tan. “PETRONAS Yamaha-CKJ represented Hong Leong Yamaha’s determination to win. Soon enough, out satellite teams absorbed this mentality and we managed to win more races than we did in the past two seasons,” he added. Melvin further revealed that Yamaha’s partnership with tyre manufacturer, Dunlop played a hand in catapulting them forward if not on the same level with Honda backed teams. While pleased with the overall performance, Melvin also reminded the Yamaha camps it is important for them to continue improving and not take their victories for granted.